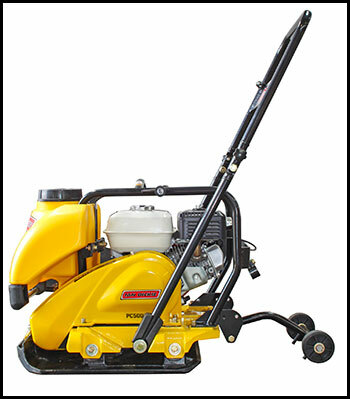 This innovative and versatile Compactor is suitable for a wide variety of compaction work. A ductile iron base-plate increases the overall durability of the machine structure, while a sealed belt cover stops the infiltration of soil and sand granules. 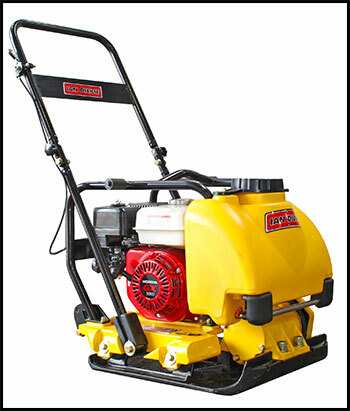 The optimized radius of the tamping plate allows the PC500ID to easily operate around corners and heavy duty shock mounts insulate the handle and engine from vibrations. A centrally located lifting bar, transport wheels and folding handle all contribute to this machines ease of transportation and storage. The hose-less water tank is detachable and comes with a built in valve. For more information on the PC500ID Soil / Asphalt Compactor or to enquire about our broad range of compaction equipment please do not hesitate to get in touch via our contact page. Our sales team will ensure that your queries are attended to quickly and efficiently.